"What impressed me the most about finding a Nanny with ABC Nanny Source was the level of detail and organization in which such confidential information was presented. When we started our Nanny search, I received an extensive profile for each DC Nanny candidate before the interview. Once each Nanny arrived at my door, I was fully relaxed because I felt I already knew the person in front of me ~ that is how detailed these profiles were! The process was made very easy for our family with this Nanny agency and within a matter of days, I hired the perfect Nanny for our children!" 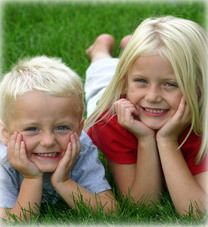 A Nanny Agency in DC that Provides Nannies You Can Trust! Dedicated DC Nannies Ensure Commitment and Excellence! As a DC Nanny, Darlene feels that education is one of the most important parts of childcare! As a part of the DC Nanny Agency, Tisha works diligently to provide a safe and healthy environment! As a Nanny in DC, Carol has wonderful teaching experience to help focus on your child’s education! As part of the Nanny Agency in DC, Gina has many years of experience that is a wonderful asset to any family! Any DC Nanny Job would benefit greatly from Rebecca’s nurturing personality and energetic attitude!